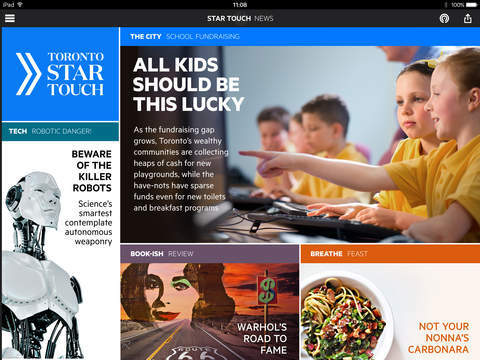 After launching in the fall of 2015, the Toronto Star Touch tablet app was hailed as the next digital publication success, based on the same model as Quebec’s La Presse+. But now the experiment is officially over, as yesterday, parent company Torstar announced Star Touch will end as of August 1, 2017. Based on this “feedback”, a new universal app for iPhone and iPad will launch to replace Toronto Star Touch, with the latter set to publish its last edition on July 31. The universal app appears to be the current Toronto Star iPhone app, but will later add iPad support at the end of next month. An update last month added push alerts, better navigation, more content and easier ways to share stories on social media. Signs of Star Touch struggling were seen last fall, when 26 employees from the digital publication were laid off; the publication had only 55,000-60,000 weekly readers in July 2016, well below its goal of 200,000. As a part of the team that developed and launched Toronto Star Touch, I'm sad but not surprised by its demise. The market has spoken. For all media in Canada in need of wicked editorial design, I'm an NNA-award winning #startouch @torontostar designer looking for work. 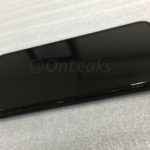 Anyone sad to see Star Touch go? What went wrong with this experiment? Maybe they should have made the daily editions available for iPhone users too, to reach a wider audience, instead of just tablet users.